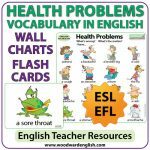 ESL / ELL Reference Charts about Comparatives and Superlatives in English. Comparatives and superlatives are used to compare people, places, or things. 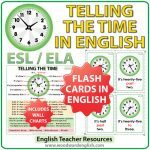 ESL students sometimes say “more fast” instead faster or “more good” instead of better. 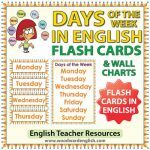 Our charts are a summary of the main rules regarding the spelling and correct use of comparatives and superlatives in English. – The difference between a comparative and a superlative. 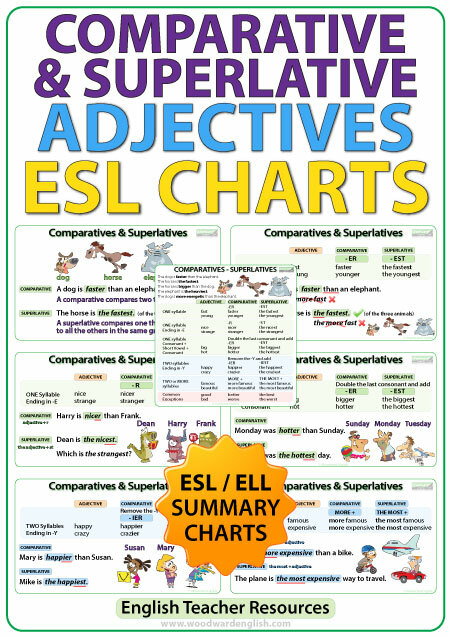 These charts about comparative adjectives and superlative adjectives and not adverbs. 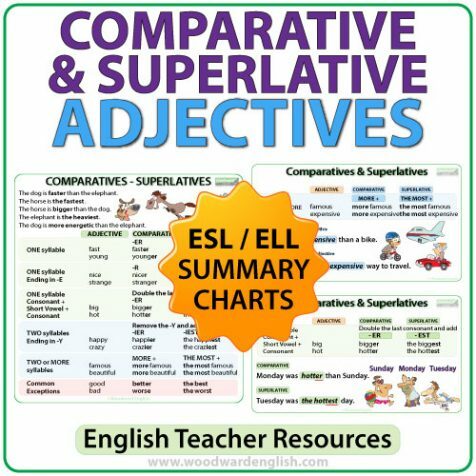 I have also created a video on YouTube about this topic: Comparative and Superlative Adjectives – English Grammar Lesson (Suitable for the classroom). 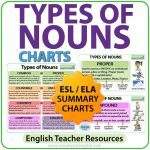 You can watch this free video to have a better idea of the contents and examples of each chart. Afiches para aprender acerca de los comparativos y los superlativos en inglés.